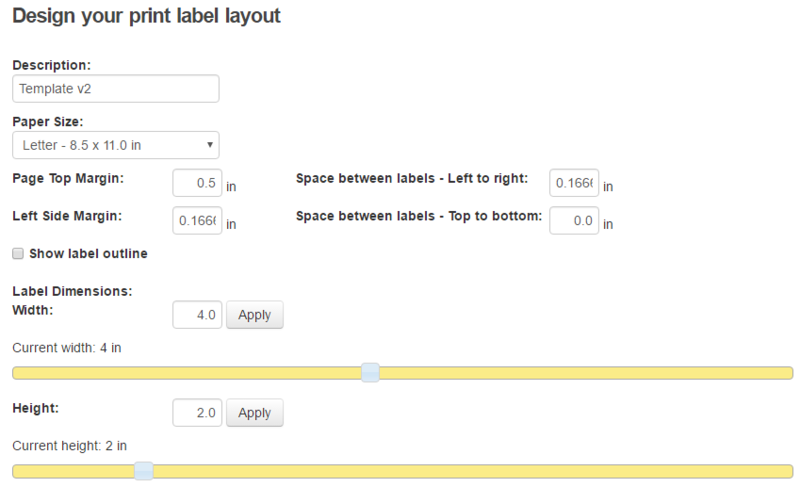 EZRentOut enables you to create and edit labels using the Label Designer. To access this, go to More → Print Label Templates. Insert free form text and easily apply styles like fonts, alignment, size, and rotation. Scrolling down, you will find the designer itself. Simply drag the fields and arrange them onto the label as you see fit. The following screenshot shows a newly designed template for a label. It includes a QR Code, the company logo, asset number, name, description, as well as a rotated text box. If you want to see a detailed guide on designing print labels, read the Print Labels Knowledge Base. Sticky paper is great for a quick job on printing asset labels as well as doing a trial run before ordering the more expensive commercial grade labels (e.g. stickers or aluminum labels). Note that it is very important to first understand what kind of label material is ideal for your tracking needs. Avery and Avery compatible sticky papers are commonly available at big box stores like Staples or Officemax. Moreover, most of the big box stores offer online printing services i.e. 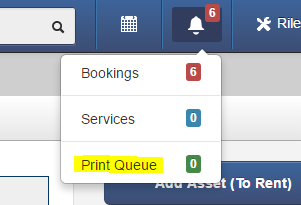 simply generate your labels from EZRentOut, export data for commercial printing., and ‘send over’ the pdf file to the printing service online. Go to the store at your leisure and pick up your printed labels. EZRentOut is compatible with Avery Labels, the most well known in the industry, and we offer multiple Avery Label Templates. Refer to the end of this post for our most frequently used Avery templates. Additionally, choose whether to opt for a QR code or a barcode as their functionality depends on your usage scenarios, availability and cost constraints. You can also explore other recommendations for rental asset labels. Here are some of the most popular Avery templates used by our customers. 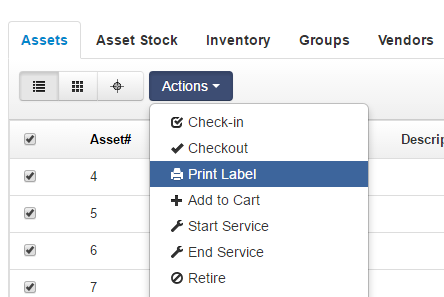 You will need to configure a new template by going to More → Print Label Templates. You can now enter the template values in the margins and space fields. Looking for some more answers? Check our FAQs section or email at support@ezrentout.com. 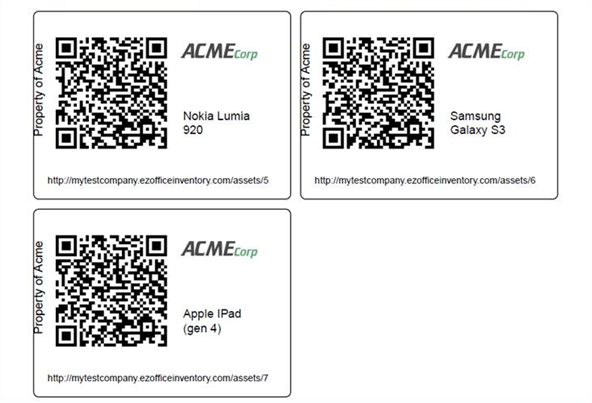 Here’s a comprehensive list of recommended hardware you can use for Barcode and QR scanning of Avery labels. This entry was posted in [Support], barcode KB, Getting Started, Labels, productivity, QRCode by admin. Bookmark the permalink.